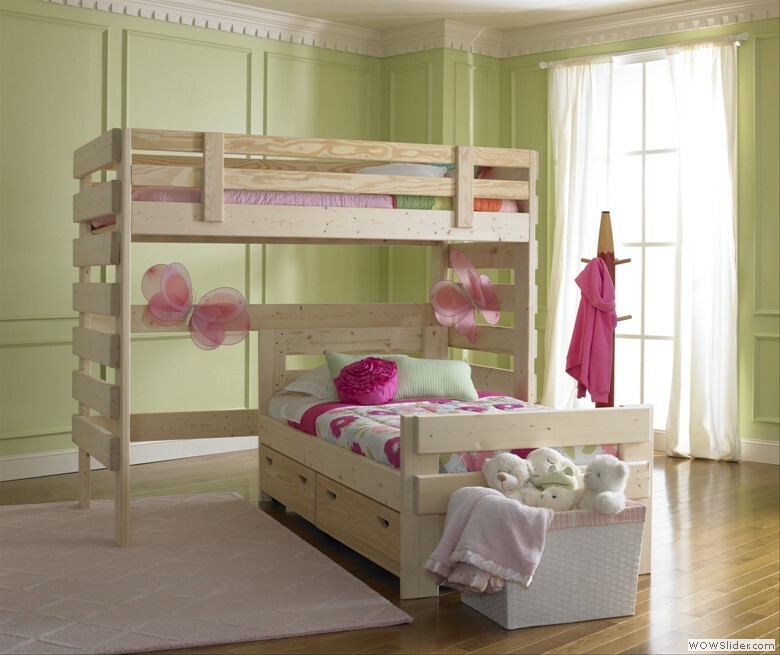 The L–Shaped Bunk Bed is generally set up in the corner of the room maximizing available floor space enabling two different style twin beds to be set up in the same place, yet can be easily separated and used in two different locations when needed. Maximize even more by adding a Trundle Bed or Storage Drawers for much needed storage space. In this configuration the bottom bed (a twin bed) and the top bed (a tall loft bed) are not connected. They are in actuality 2 separate beds.